In the preschool age, it is important to determine the level of socio-psychological adaptation of the child, as soon he will become a disciple. The school requires the child owning certain skills. For example, it needs to be alert and focused for a long time, keep in mind the task and gradually perform, hear, and abide by the instructions of an adult. In addition, the kid needs to be ready to communicate with their peers and understand the rules of behavior in society. It is therefore important to timely identify and correct violations of the child's adaptation. The proposed method of diagnostics of socio-psychological adaptation designed taking into account age features of children of preschool age. It consists of two parts. In the first part used projective drawing "House. Tree. Man." The analysis is performed by the child of the picture allows to determine the level of its identity. The second part consists of a questionnaire for parents and educators. The questionnaire identifies the development of basic social skills, self-control. What will tell picture "House. Tree. People." To perform the task the child is asked to draw on different sheets of paper house, tree and person. For drawing it is customary to use pencils or paint. At the same time evaluates the ability to execute. The child is given the instruction: "On the table lay three squares and pencils. At first draw a house on the second tree, the third person. When you're done, put your pencils and show me the drawings." The finished figure is estimated on the basis of the main indicators - the plot, the colors used, the method of images, the degree of pressure. After the execution of the drawings needed to ask the child his interpretation of the images. 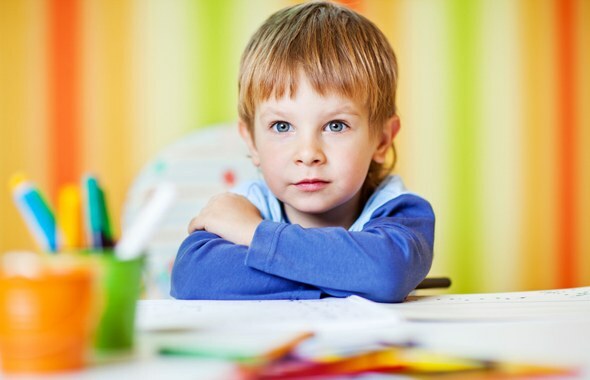 Often the child during the meeting reports important diagnostic information. Anxiety and self-doubt is expressed in the figure in the form of small pieces, a strong push, active hatching, the abundance of black color, the image shift in a corner or to the side, a great number of details. Expressed the problems of consciousness can say the image of a withered tree, the categorical rejection of the assignment. The long neck of the person indicates a desire to follow the rules, big hands can talk about the sociability of the child. A comprehensive diagnosis of the child's adaptation is impossible without observing them. The proposed questionnaire aimed at diagnostics of the behavior and the level of formation of social skills of the child. Parents and caregivers are asked to Express agreement or disagreement with the following statements. The proposed questionnaire consists of 15 statements. For each positive answer is assigned 1 point, a negative response is not evaluated. More than 12 points indicate a high level of development of social skills. Less than 6 points - a low level. Qualitative analysis of the results obtained on both components of the technique allows to determine the level of socio-psychological adaptation of the child and to identify problems.